Constant or Recurring Pain or Tenderness - Pain and tenderness in your hip joint can be ongoing and feel like a dull tooth ache pain, or it can be a sharp, throbbing pain with sudden movements. Typically, most hip osteoarthritis sufferers feel pain and tenderness in the groin, buttocks or thigh. If standing or walking, pain may be experienced on the side or back of the hip; the pain may also radiate down the thigh and/or even cause pain in the knee. Pain is often worse in the morning or evening, or when you move your hip from a sitting to standing position (or vice versa), or when you participate in a prolonged walking or standing activity (non-movement). Changes in weather or different seasons of the year can make a difference to the sensitivity you feel in your osteoarthritic hip (however, hip pain can be experienced in all weather environments). As the atmospheric pressure falls, the nerves in your hip are sensitive and react to pressure changes. Stiffness will eventually be experienced in the affected hip joint, which will limit your range of motion so that you are not able to move your hips like you once did. This will make it difficult to climb stairs, or get in and out of chairs or bathtubs. This can result from periods of inactivity (morning stiffness, sitting, driving etc. ), or after vigorous movement in athletic or work pursuits. Stiffness generally lasts up to 30 minutes however it can persist for longer periods of time. It will often be difficult to use or move your hip joint normally during this time. Hip stiffness will result in your joint cavity producing extra fluid in the joint. This fluid, which is comprised of destructive proteins and enzymes, cause the cartilage and bones to deteriorate further and will cause swelling in the hip. The surrounding bone reacts by growing thicker. The bone at the edge of your hip joint eventually grows outward and develops into bony spurs (osteophytes). Your hip joint tries to repair itself by creating osteophytes, however, they generally just make your hip more painful and difficult to move. Your joint capsule and ligaments slowly thicken and shrink, and your hip muscles weaken (atrophy), which in turn create instability in the hip joint (it gives way when you walk or put weight on it). Swelling in your hip joint can occur immediately if your blood vessels are disrupted because of a traumatic event, or within 12 hours after your joint tissues become inflamed. Swelling over time is a result of synovial fluid filling the joint cavity, as your body tries to protect itself. Warmth and redness that sometimes accompany swelling are normally not associated with osteoarthritis. Deformity and joint enlargement will eventually result as your cartilage degenerates and bones become damaged. Bone spurs, cysts or overgrowths can develop as a result of ongoing hip symptoms due to your osteoarthritis. These are often tender when your skin is rubbed over them; and can result in irritation of other tissues and swelling. This can make it difficult to move your bones and can change the shape of your joint which force the bones out of their normal position and lead to deformity. Grinding, Popping or Locking - Hip joint grinding, clicking, popping or locking when you try to bend or straighten your hip can result from arthritis, as well as other hip injuries. This can range from being annoying to downright painful and can last a few seconds or be persistent for a few weeks. Joint locking often occurs after long periods of inactivity, when loose fragments may become lodged in the joint. You will often feel a click or snap when it eventually unlocks. Sometimes you may have to manually move or manipulate your hip to get relief. You may experience your hip giving out because muscles in your hip, lower back, groin and thigh have weakened, or you have damaged ligaments and/or tendons in the hip joint. Difficulties Performing Activities - Functional limitation as a result of osteoarthritis is very common in daily activities, work and/or recreational pursuits. Osteoarthritis makes it very difficult to stoop, bend, kneel, stand more than 2 hours, walk 1 mile, push a heavy object, climb a flight of stairs, lift or carry 10 pounds, sit more than 2 hours, reach above your head and/or grasp small objects (as noted in the figure on the right). Depression and Anxiety will often be experienced as the osteoarthritis symptoms progress and you start to feel like a hostage in your own body. These often leave you feeling fatigued, irritable, restless, hopeless, and guilty. Your pain and inability to participate in everyday activities may make it more difficult for you to concentrate and make decisions, and your interest in the people and things around may start to decrease. Overall your self-esteem and self-image really decline. However, it is possible to treat osteoarthritis symptoms, so you can start to feel more like your old self and begin to return to the activities you enjoy. Unfortunately, there is no cure for osteoarthritis but symptoms can be controlled and, for most, you can find relief from the pain. Hip joint replacement, while being a major surgery, is found to be be worthwhile by an increasing percentage of osteoarthritis sufferers. Continual improvement and new techniques in joint replacement surgery are reflected in a steady increase in successful outcomes. What Causes Osteoarthritis In The Hip? Arthritis is your hip's biggest enemy, and it can result over time from injury or disease. Osteoarthritis in the hip is common and there are a number of causes that influence your risk of developing it. These can be broken down into 2 types: primary osteoarthritis and secondary osteoarthritis. Wear and tear - As your hip joint experiences wear and tear there is a release of destructive enzymes which break down the cartilage to the point where the bones of the hip joint rub together and develop sclerosis (a hardening of tissue) as well as tiny fractures, cysts and bone spurs. Lack of activity - Without exercise or activity, muscles weaken and you begin to lack the proper muscle support. This can cause excess load on the knees and hips - or your weight may be distributed unevenly within your hip joint causing damage to occur. Repetitive stress movements or strains that result in excessive bending, excessive walking, or overuse of your hip joint at work or play. 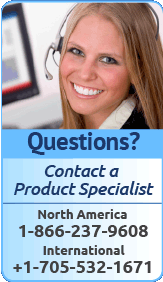 Hormone disturbances as a result of diabetes or growth hormone disorders that affect cartilage wear. Menopause seems to often increases the progression of osteoarthritis. Poor bone alignment or posture (your joints don't line up properly) can result in degeneration of the cartilage on one side of the hip. Sufferers of short leg syndrome can be more prone to this condition as this causes imbalanced weight on the knee and hip joints, which can pose problems with instability, dislocation or pain (like a tire that is out of alignment, the treads will wear out on one side of the tire). You can often look at your shoe treads to see if one side of the heel is worn out more than the other to determine if you have alignment issues. Grade 4 - Exposure and damage of underlying bone; major surgery will most likely be required to achieve a significant degree of pain reduction and/or increased mobility..
As mentioned previously, the most common form of arthritis in the hip is osteoarthritis; however you can be diagnosed with more than 1 form of arthritis at a time. Medical professionals (such as an orthopedic surgeon or physician) will be able to assess and test whether you have arthritis, and then will determine what type you have through a variety of processes. A physical examination will be performed to determine if you have any signs of hip arthritis or other injuries pertaining to the lower back, hip and probably the knees. Your doctor will assess and palpate (feel) the bones and soft tissue in and around both hip joints to evaluate symmetry and recognize differences. 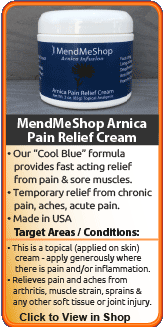 This will identify any abnormalities, such as mild or severe inflammation, fluid, bone deformity, and weakened muscles. He/she will press on the injured side of your hip joint to test for point tenderness and help determine the main location of your injury. He/she may ask you to complete a series of knee and hip movements, or rotating your hip to see what motions cause pain, weakness, instability and/or grinding, catching, popping or locking. These sounds or restrictions will often indicate a soft tissue tear and/or arthritis in the knee or hip. A medical professional will often recommend diagnostic testing to obtain more detailed information, and assess the amount and/or type of damage done to your hip. There are a variety of different tests available to help them analyze the situation; however these will be dependent on the degree of your injury. X-rays provide a two-dimensional image of the overall structure of your hip. They are helpful in identifying loss of joint space, arthritis, abnormal bone shapes such as bone spurs or bone cysts, fractures, and degeneration (wear and tear) on the joint. X-rays can also be helpful to exclude other possible causes of hip pain and assist the doctor in determining if surgery should be considered for your specific situation. An MRI will provide more detailed information and will help to evaluate the state of soft tissue in and around your hip joint (muscles, tendons, ligaments, cartilage, other connective tissues). It can identify ligament and tendon damage, and help to determine the extent of your injury, the displacement and degree of soft tissue tears, fluid in the hip, and/or other associated conditions. Joint aspiration (arthrocentesis) involves withdrawing and analyzing fluid from your hip via needle and syringe. Arthrocentesis will help to determine (1) if there is inflammation and (2) the cause of your joint swelling - gout for example, or some kind of infection. 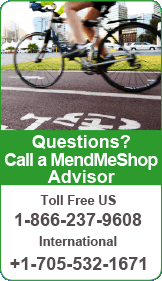 Arthrocentesis can be performed in your doctor's office. Blood tests cannot diagnose osteoarthritis, but may be ordered to rule our other causes of hip pain, like rheumatoid arthritis. Arthroscopy is used to visualize and repair damage to the hip. A small incision is made in the hip and an arthroscope with a camera is inserted to look inside the the hip joint and assess any damage. The initial treatment for osteoarthritis is reducing the inflammation within the hip joint to relieve your pain. Anti-inflammatory medications can be helpful but be cautious of using them over a long period of time. These medications also affect the organs in your body and can lead to other problems with extended periods of use. Once your medical professional has diagnosed your osteoarthritic condition, they will recommend the most effective treatment for your hip arthritis based on you and your lifestyle. They will consider your activity level, your age, the location and severity of your hip arthritis, as well as how long you have had it, the symptoms you experience and any other associated hip injuries. The therapy for a 34-year old athletic, working woman will not be the right treatment for a 75-year old retired man. Also, the treatment for a high energy, competitive or aggressive type-A personality, may not be suited to an easy going, relaxed and patient type-B personality. There really isn't a cure for osteoarthritis. Generally, the focus of treatment is to relieve and control your hip pain and inflammation, slow down your arthritis progression, minimize your hip joint damage and the risks of therapy, maximize your hip mobility and function, improve your muscle strength and control, prevent work disability, and improve or maintain your quality of life. Conservative treatments are usually recommended in the beginning. However, as your arthritis progresses, treatments that once worked may no longer be effective. Surgical options are used if conservative treatments fail, and your hip damage and pain severely interfere with your daily living. During your recovery, you will probably have to modify and/or eliminate any activities that cause pain or discomfort in your hip area until your pain and inflammation settle. The best way to manage your hip arthritis is to be one step ahead of the process, combining conventional practices and medicines with alternative treatments, joint protection, patient education, lifestyle changes if required, and self-management (diet, rest, exercise). The more diligent you are with your treatment and rehabilitation, the faster you will see successful results. People with early osteoarthritis in the hip tend to have higher success rates than individuals with later onset, as their conditions are generally a result of trauma to healthy tissue rather than degeneration over the years. Scar tissue will often develop as a result of injuries once acute inflammation begins to decrease. As your damaged hip tissues heal this dead, fibrotic tissue will develop instead of forming brand new healthy tissue. Scar tissue adheres to muscle fibers, tendons, ligaments, fascia, nerves, and joints, causing pain and preventing them from moving properly (this limits your range of motion, flexibility and strength). Reducing stress on the affected joint is a good idea, regardless of the therapies you might use to manage your arthritis pain and inflammation. Losing excess weight and/or using a cane can take the pressure off the hip joint which will result in less irritation, inflammation and pain. Resting the hip as much as you can is also recommended to prevent further irritation in the joint. improve or maintain your quality of life. When a tear first occurs or when it is irritated by overuse or re-injury, you experience swelling and inflammation in your hip. Using ice packs to treat your hip reduces pain, swelling, and tissue damage. Ice compression therapy works by slowing nerve and cell function in the hip. This is important because once blood vessels are damaged, they can no longer carry oxygenated blood to soft tissue. As this occurs, cells begin to break-down. Once inflammation and swelling have been reduced in your hip, nourishing and strengthening the tissue in your joint is the goal. Deep Tissue Regeneration Therapy (DTR Therapy) promotes blood flow to the treatment area bringing the necessary oxygen and nutrients to your weakened soft tissue. DTR Therapy speeds up the body's natural repair process for faster healing and stronger, more flexible soft tissue. Increased blood flow helps whisks away dead cells and toxins (including lactic acid, commonly found in trigger points) that have built up from the injury leaving the area clean and better prepared for healing. 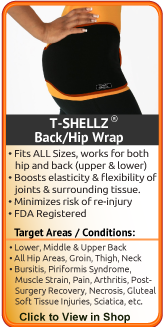 Our Back/Hip T•Shellz Wrap® provides effective, non-invasive, non-addictive pain relief with no side effects. Keeping your hips as healthy and strong as possible throughout the healing process will allow you to get back to your regular activities faster. The benefits of DTR Therapy do not end once your hip pain stops! A T•Shellz Wrap® treatment before activity is an easy way to warm up the soft tissues in the hip to prepare them for use (so they are more flexible and less likely to strain when stretched during activity). End your day with another treatment to prevent tightness from setting in overnight. During your recovery, you will probably have to modify and/or eliminate any activities that cause pain or discomfort in your hip area until your pain and inflammation settle. With these therapies you will notice great improvement within a few weeks, with most meniscus patients seeing some improvement quickly. The more diligent you are with your treatment and rehabilitation, the faster you will see successful results. If you start using your hip before it has a chance to heal properly (even though it may feel better), you can end up doing a lot more damage than good! Resting the area of injury, for our natural process to heal the tissue needs time. Not resting an injury can bring about the issue of an injury not going away (chronic). To repair damaged tissue, the bodies quickest way to heal is to create scar tissue and adhesions - this is good in the short term, but in the long term will be problematic. 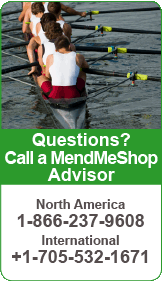 The growth of scar tissue and adhesions can lie in any direction. Ultimately what causes stiffening in the tendon and muscle, entrapping a nerve, restricting movement, less elasticity, poor circulation, and flexibility. frequent use of the Cold Compress or Ice Pack will help reduce the swelling very quickly. Much of the pain you feel will be from the swelling, and you will be surprised how fast the pain drops off once the swelling is down. 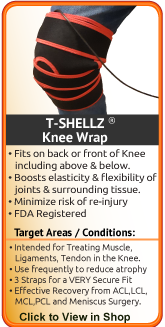 T•Shellz Wrap® is a safe, electromagnetic energy device that will help reduce scar tissue and increase blood flow to the area (thereby accelerating the body's own healing process). Using Deep Tissue Regeneration Therapy (DTR Therapy), will speed your recovery and heal your injury more completely preparing it for strengthening exercises. DTR Therapy increases the amount of blood that flows naturally to your soft tissue to nourish your tendons, ligaments and muscles, improving elasticity and increasing the healing process. This increased Deep Tissue Regeneration Therapy to your tendon or muscles is greatly needed. Continuing he healing process with resting your injury. Limit your movements that may be aggravate your strain and leading to re-injury. Tendon / Muscle related injuries can easily turn from a grade 1 strain into a grade 2 or a grade 2 into a grade 3 injury. The T•Shellz Wrap® is the treatment method that emits ElectroMagnetic energy, giving off heat as a side effect; this heat improves blood flow and circulation. Other methods of warming / heating tissue (hot water bottles, hot baths, etc) will only ever increase blood flow on a surface / skin level. These methods need a LOT of time to even reach the tendons in your hip (deep tissue). And even if you were to use them this long your skin would heat up to an uncomfortable level and may even burn you. It may seem hard to believe, but our T•Shellz Wraps and other home therapy products will assist you in recovering from your injury faster and reduce the chance of degenerative conditions by maximizing blood flow where it is needed most, reduce swelling and inflammation induced pain. If you want to prevent damage to your soft tissue or tendon rupture, avoid re-injury, or manage pain and increase circulation for lifelong health benefits, a T•Shellz Wrap® will provide exceptional results. Why spend time in pain, off from work, and missing out on your active lifestyle when you can be proactive about your injury and the health of your body? Talk to your doctor about incorporating a regular routine of using a Cold Compress or Ice Pack and a Back/Hip T•Shellz Wrap® into your everyday health regimen. All of this can be accomplished with the regular use of a Cold Compress or Ice Pack to minimize swelling, and the use of a Back/Hip TShellz Wrap to boost localized blood circulation via a deep heat stimulus achieved through Electromagnetic Energy. 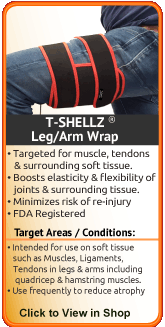 Learn more about T•Shellz Wraps.